Every year in Germany between 573,000-763,000 Tonnes of bread are wasted, which makes between 7.1 and 9.5 kg of bread waste per person, per year. 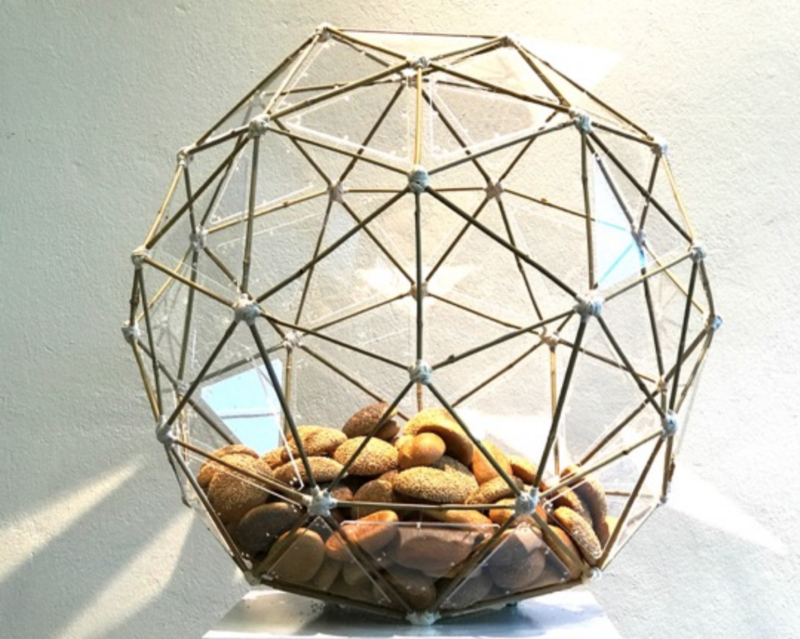 This globe shaped sculpture has 9,5 kilo bread inside of it, because what we eat and what we don’t eat affects the entire world. The 12 minutes of sound that accompanies this piece was made in collaboration with the artists Lynn Peemoeller, Thomas Meyer and Christoph Büscher, and represent the whole process of making bread, throughout the year, divided in 4 seasons. From the seed growing inside the earth, passing through the rain, the sun, the wind blowing in the fields, the dance of the wheat, the harvesting, the universe of the bacterias fermenting the dough, and the art of baking the bread.